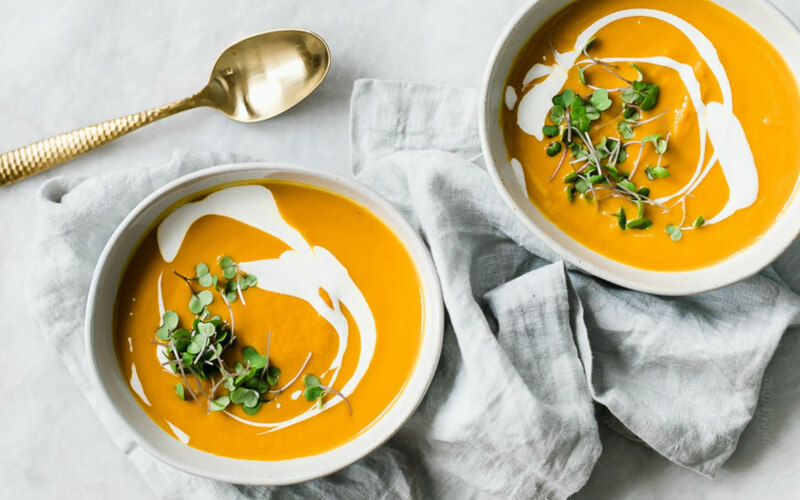 Click the slideshow gallery above to view 10 Good-For-You, Healthy Soup Recipes. If you click through the gallery, you’ll be able to view a photo of each recipe. Then there’s a link to the actual recipe, so you can click the link, print out the recipe, and make soup at home. It’s the middle of winter right now, and that means we need lots of food comfort food to keep us warm. There’s nothing like coming home to a bowl of hot soup when the temperatures are hovering near freezing outside. There are plenty of healthy soup recipes to help keep you warm here. In this collection, you’ll find soups like Southwestern Black Bean Soup, Greek Orzo and Chicken Soup, Cauliflower Leek Soup, Italian Vegetable Soup, Roasted Chicken Noodle Soup and more. The best part is that each and every one of these recipes are made with good-for-you ingredients. There are a great bunch of healthy soup recipes for you to choose from.